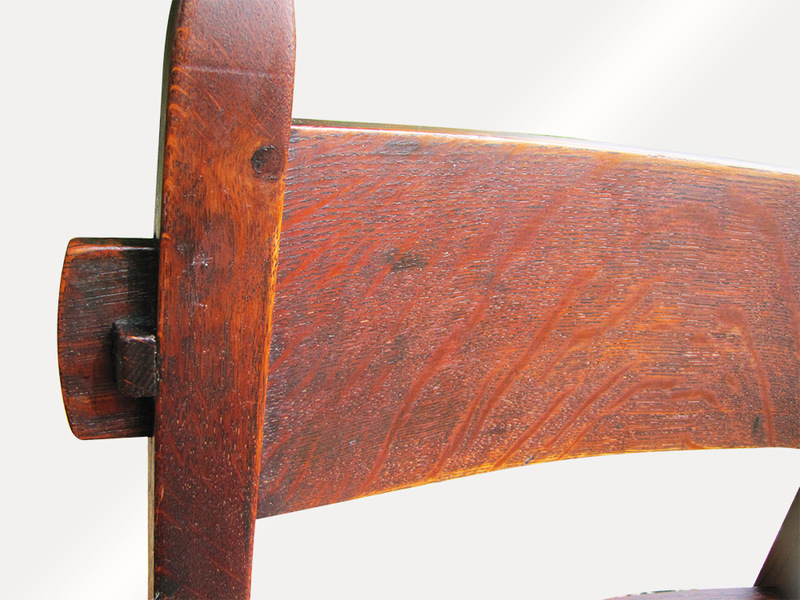 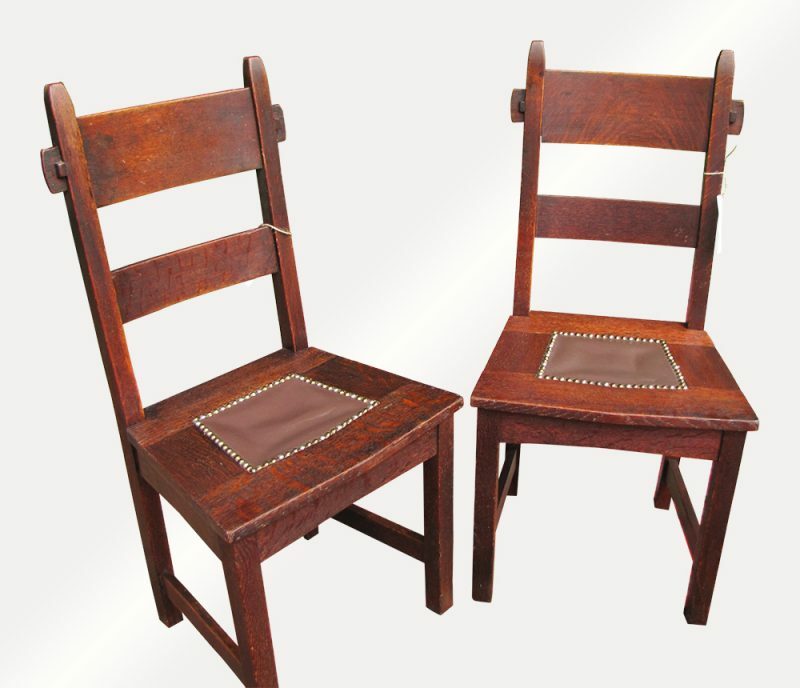 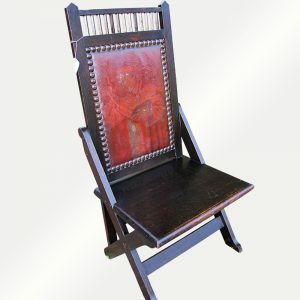 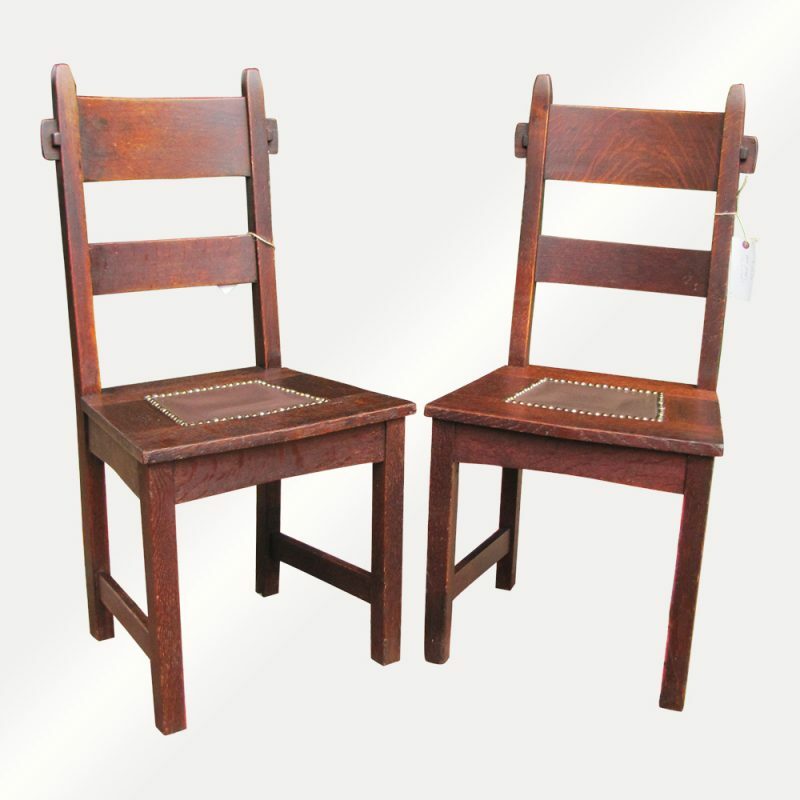 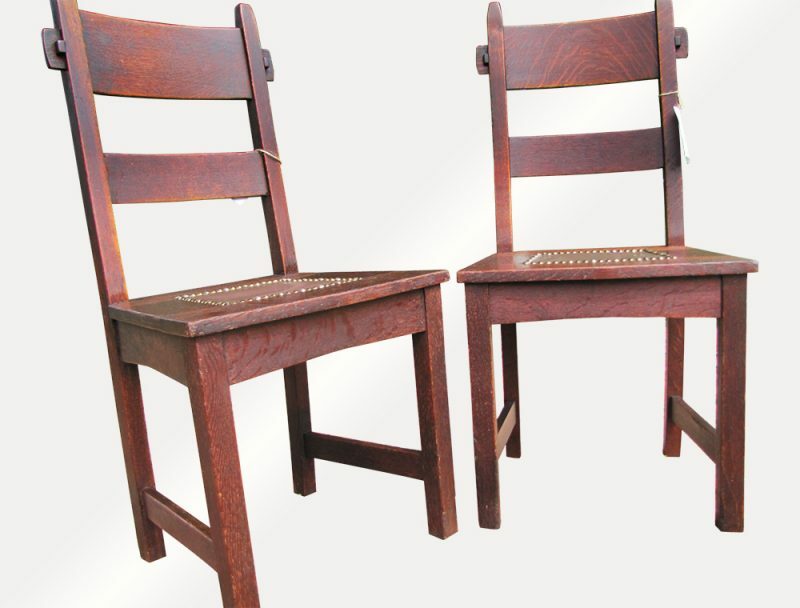 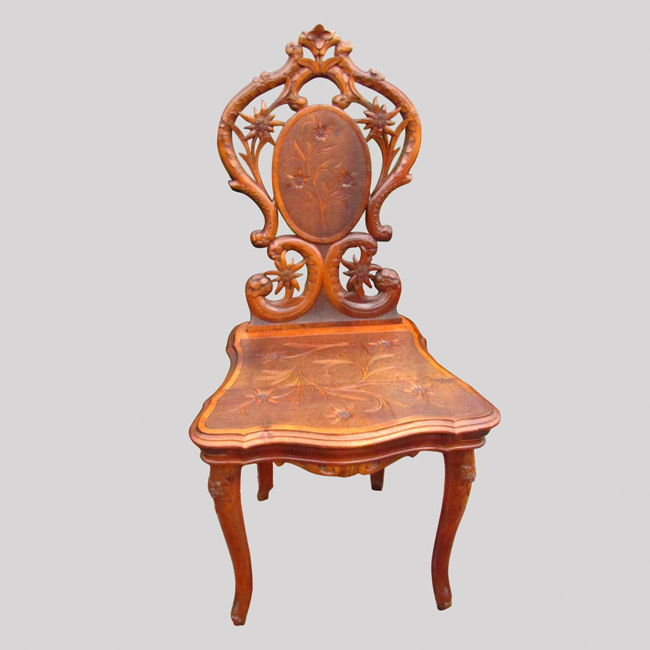 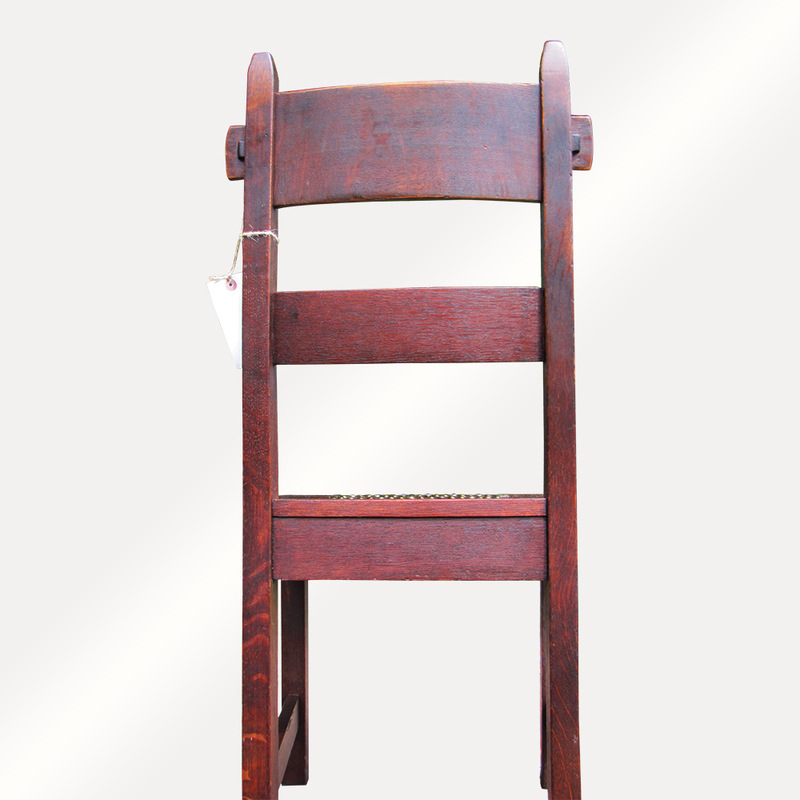 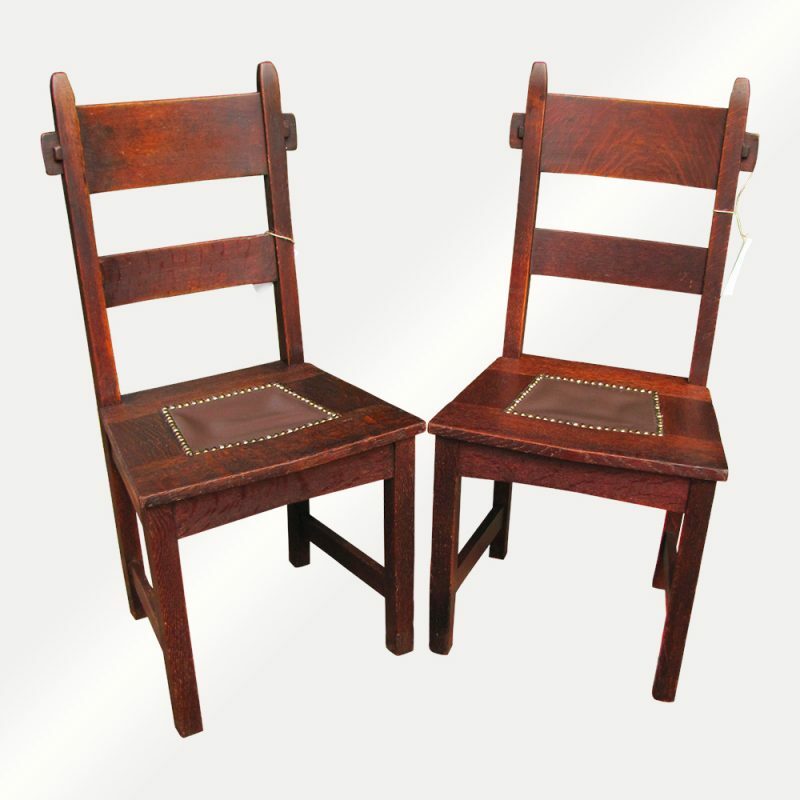 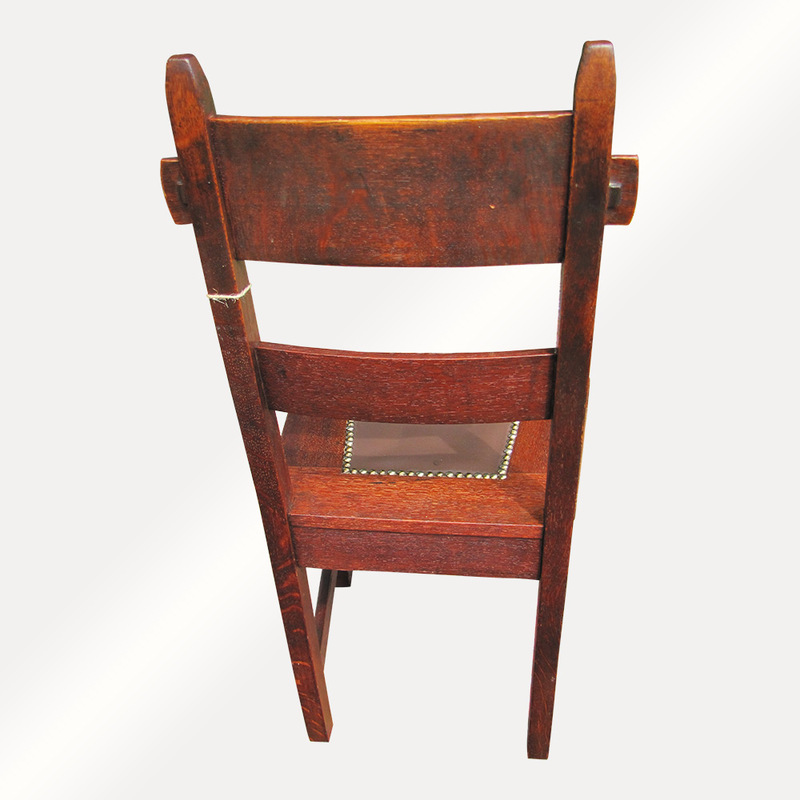 This is an Antique Rare Gustav Stickley Rabbit Ear Chairs from the early 1900’s. 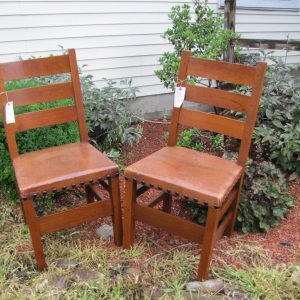 These chairs are in very good condition with a good original finish. 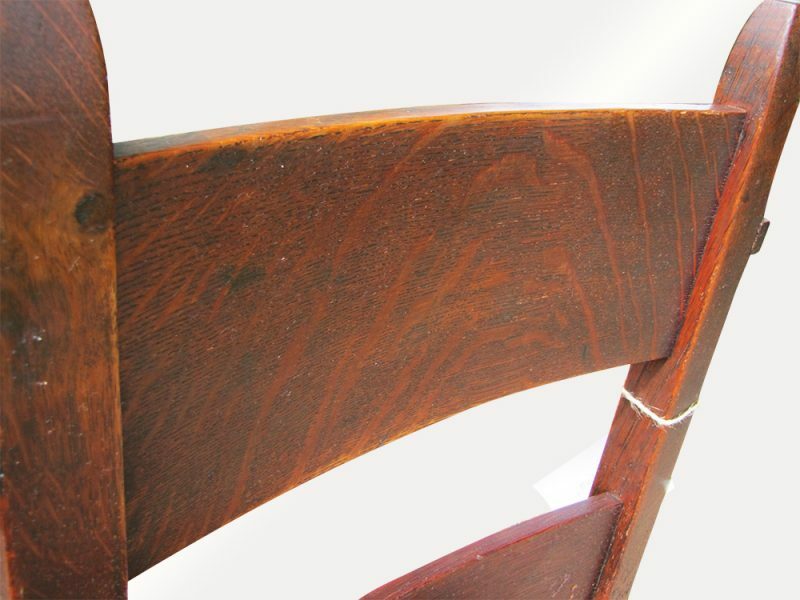 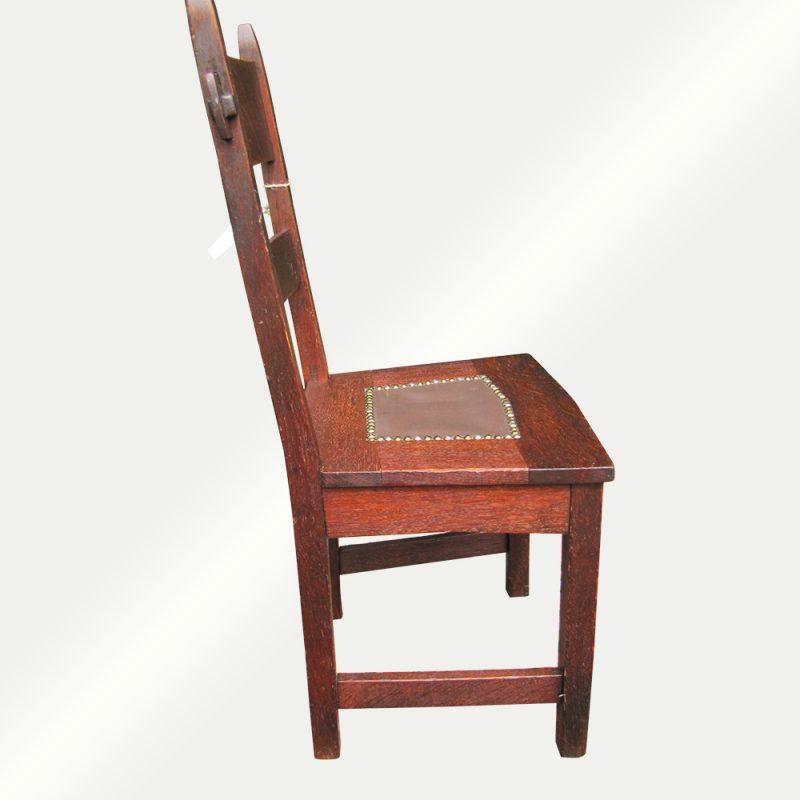 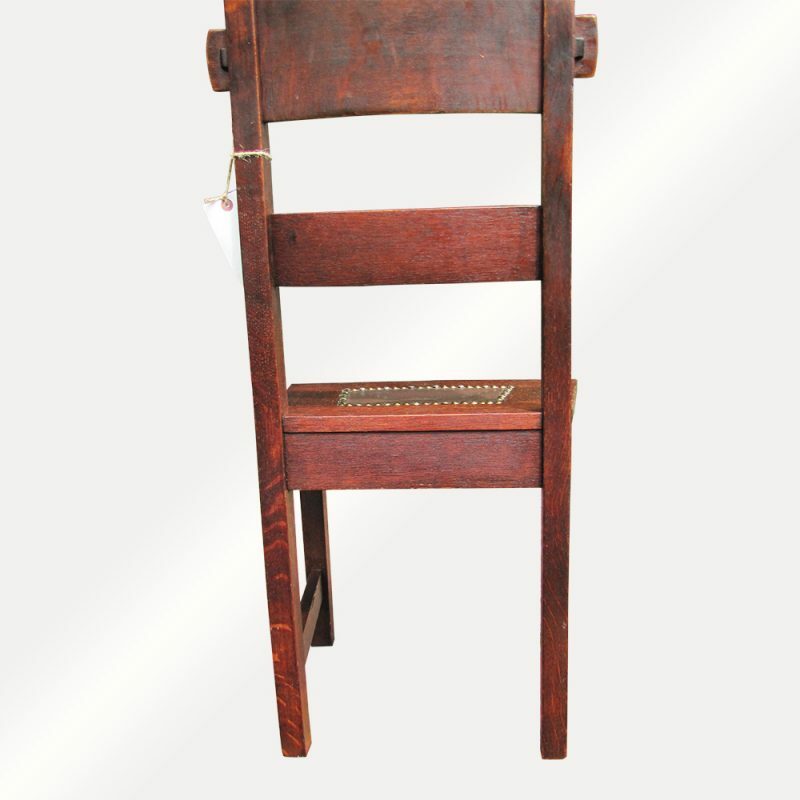 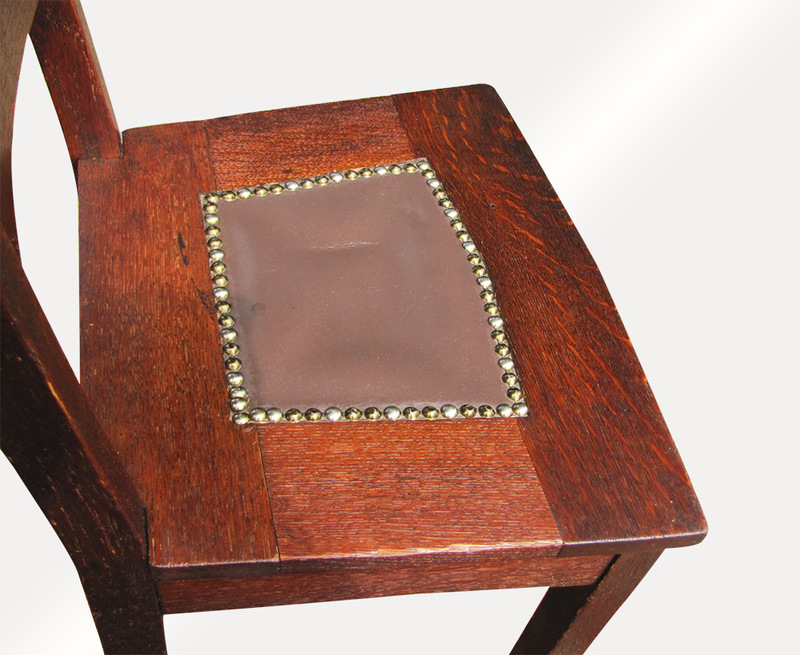 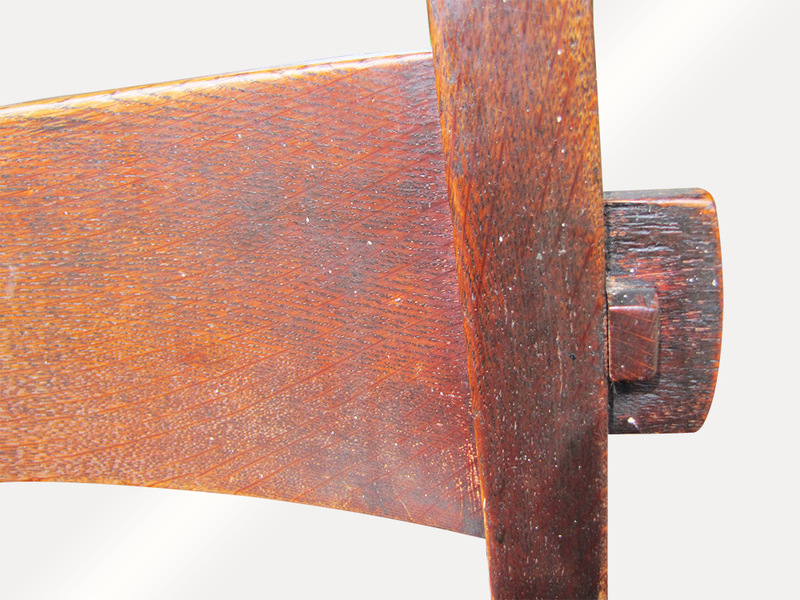 The chairs have a key and through tenon construction on the top. There is a great patina on the quarter sawn oak in these chairs. 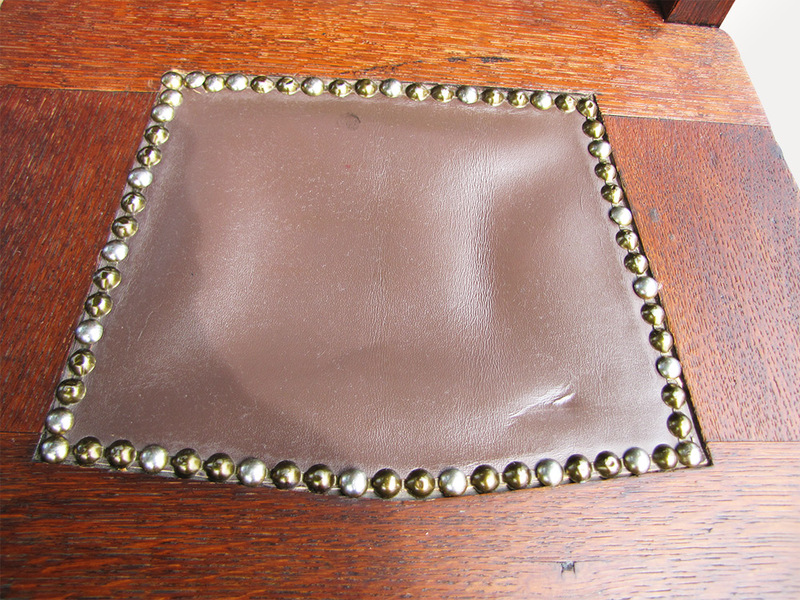 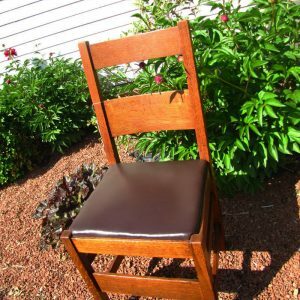 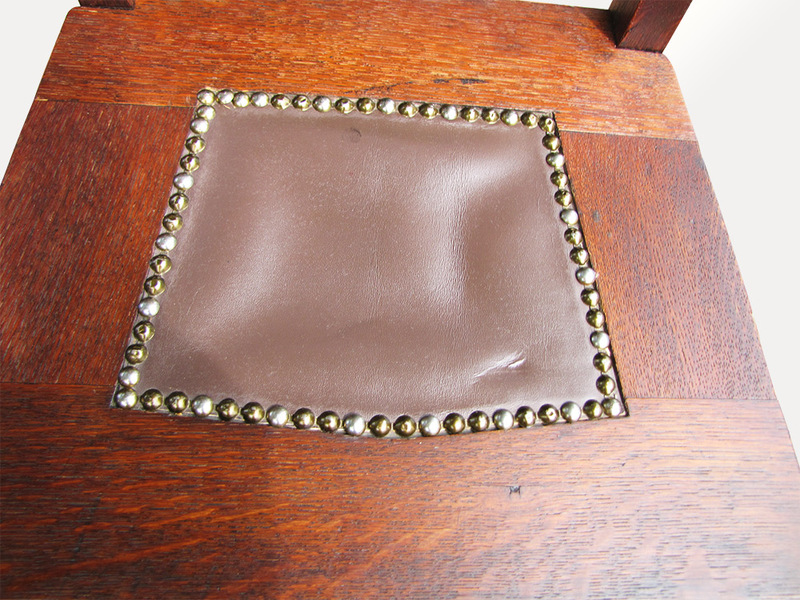 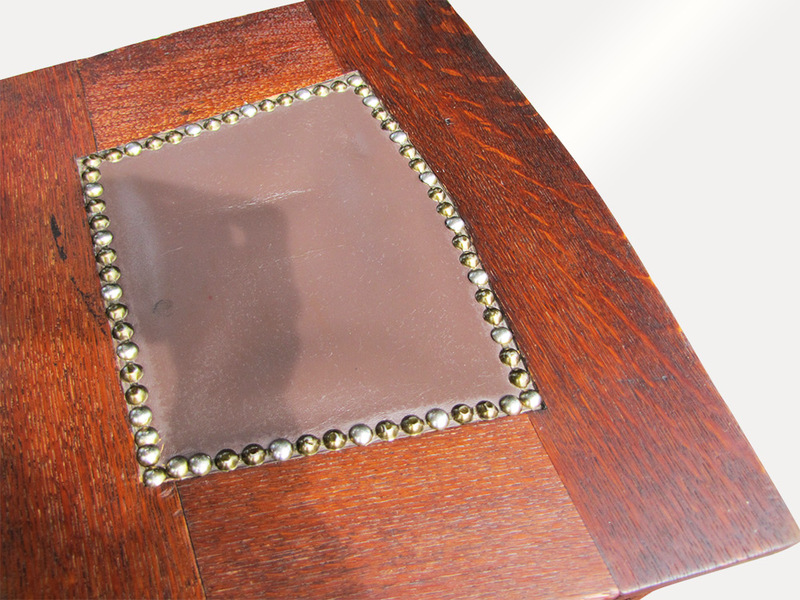 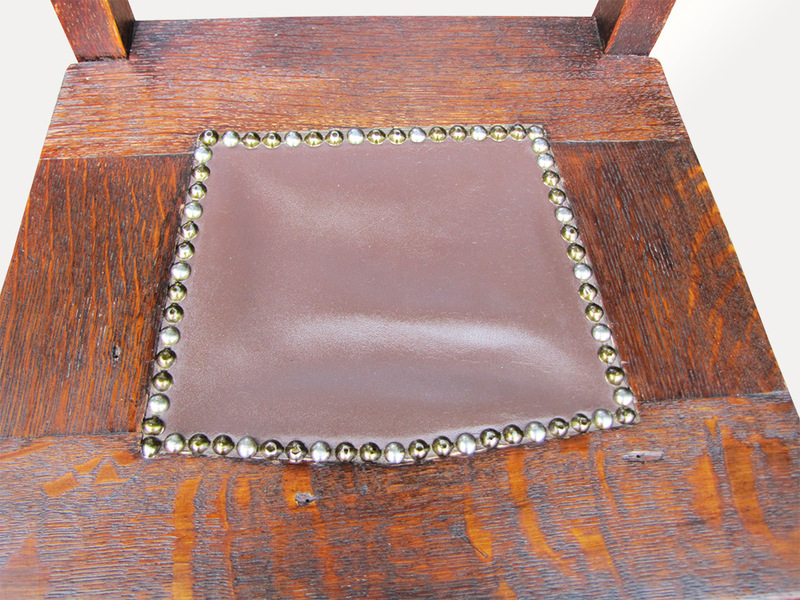 The leather has been replaced with a brown, but we can change the leather to black for no extra charge.